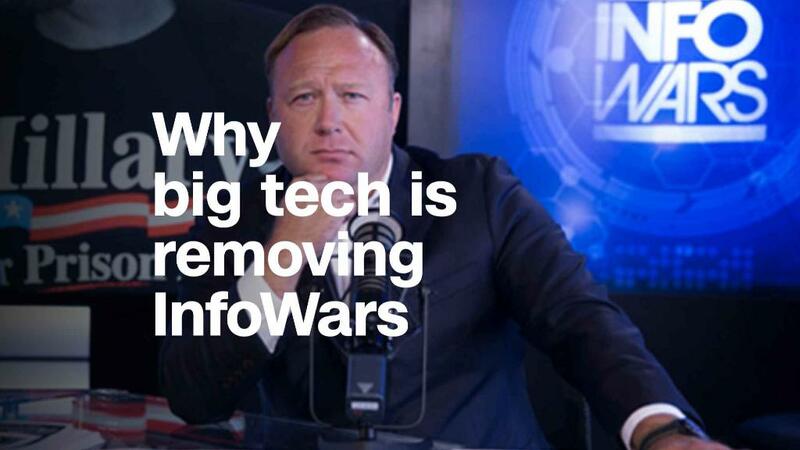 Jones was suspended from Twitter for one week last month after he posted a video in which he said, "Now is time to act on the enemy before they do a false flag." But Twitter did not ban him from its platform then, even after YouTube, Apple and Facebook each kicked him off. InfoWars did not respond to CNN's request for comment, but speaking on an InfoWars program soon after the band, Jones falsely claimed "I was taken down not because we lie but because we tell the truth."